Bangladesh sees the citizenship of issue of India’s northeastern state of Assam as an internal matter of India. “This is India’s internal matter,” an official told UNB on Monday without elaborating further. 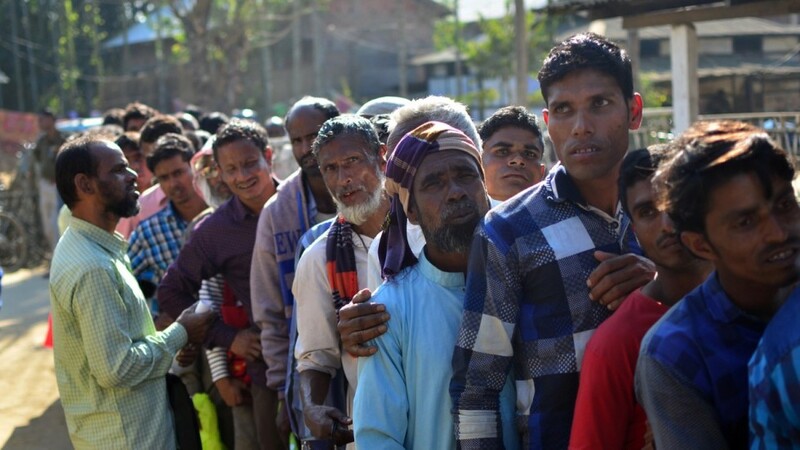 India has published a list which effectively strips some four million people in the northeastern state of Assam of their citizenship, reports the BBC. The National Register of Citizens (NRC) is a list of people who can prove they came to the state by March 24, 1971, a day before Bangladesh declared independence. India says the process is to root out hordes of illegal Bangladeshi migrants, according to the BBC report. But the BBC report says it has sparked fears of a witch hunt against Assam's ethnic minorities. Hundreds of thousands of people fled to neighbouring India after Bangladesh declared itself an independent country from Pakistan on March 35, 1971, sparking a war. Many of the refugees settled in Assam, a state which now has more than 30 million people. The Indian government considers those who arrived before the war as legitimate citizens. While talking to reporters in Kolkata, the High Commissioner also said this issue has not been raised at the official level by the government of India with the Bangladesh government at any stage and mentioned that he will not interfere in an internal matter. Muazzem Ali said the issue can become ‘bilateral’ only after the Indian government takes it up with the Bangladesh government.